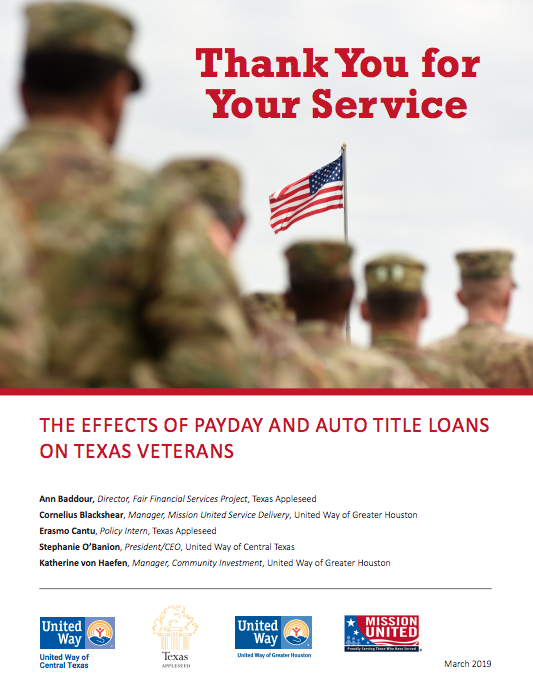 Reducing low-income borrowers’ reliance on payday and auto title loans requires improved access to low-cost responsible loans. 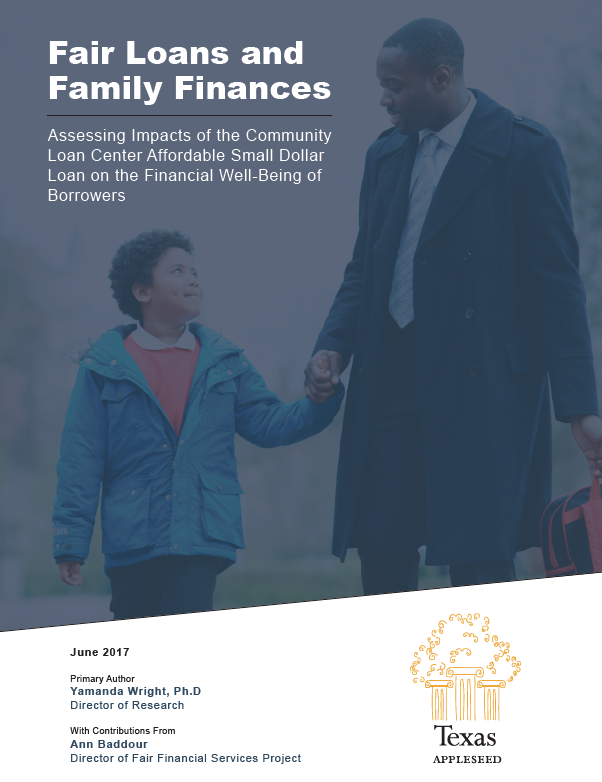 The Community Loan Center (CLC), launched in Brownsville, Texas, in 2011, was created to meet the short-term credit needs of payday loan borrowers with fair rates and affordable terms through partnerships with employers. The CLC offers a $1,000 maximum loan, payable over 12 months, at 18% interest plus a $20 fee. Starting in 2014, the program expanded by adding new franchises in Texas. The program is now also expanding into other states. Texas Appleseed examined the financial stability and asset building impacts on CLC borrowers of having access to a low-cost, affordable small-dollar loan by surveying borrowers of the first three CLC franchises that completed one full year of operation—the CLC of the Rio Grande Valley, the Brazos Valley CLC and the Dallas CLC. We collected borrower data over a one-year period that started in November of 2014. 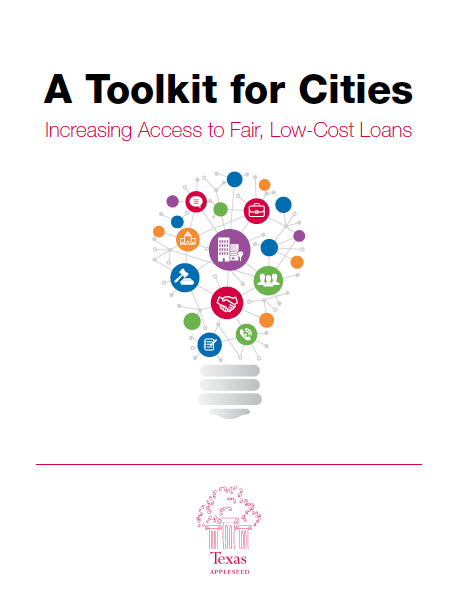 Cities can make a difference for their citizens and local economies by enacting policies that constrain abuses surrounding high-cost payday and auto title loans and encouraging productive market options, such as low-cost loan products and local initiatives to promote financial well-being across neighborhoods in our cities. 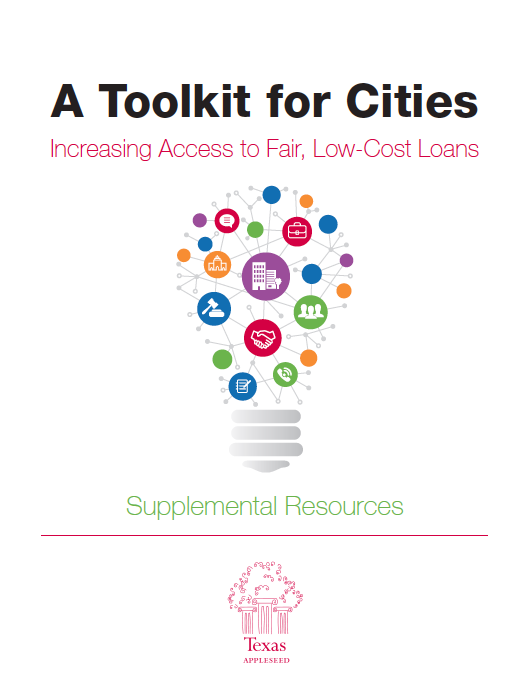 "A Toolkit for Cities" lays out specific opportunities any city can pursue, highlights benefits to cities and overall communities, and includes quick facts, tips, and case study examples of programs locally and across the nation. 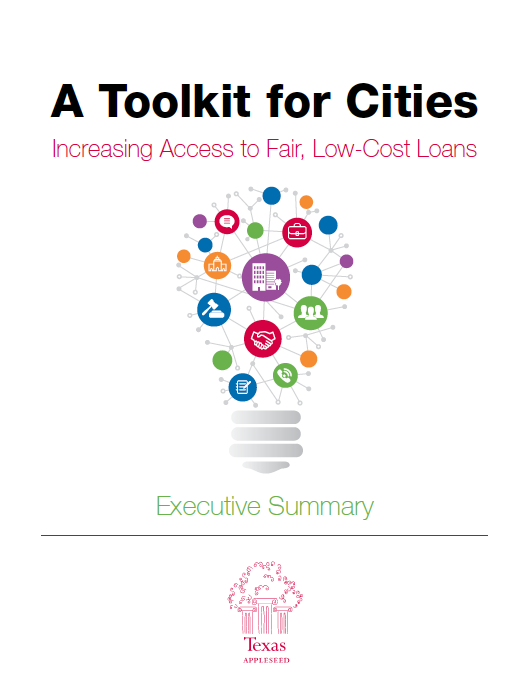 The toolkit includes details from how and why to partner with a local Council of Government (COG) to investing in low-cost lending programs to participating in an employer-based affordable loan program.